If you can't find something local to do in October, you just aren't lookin'! 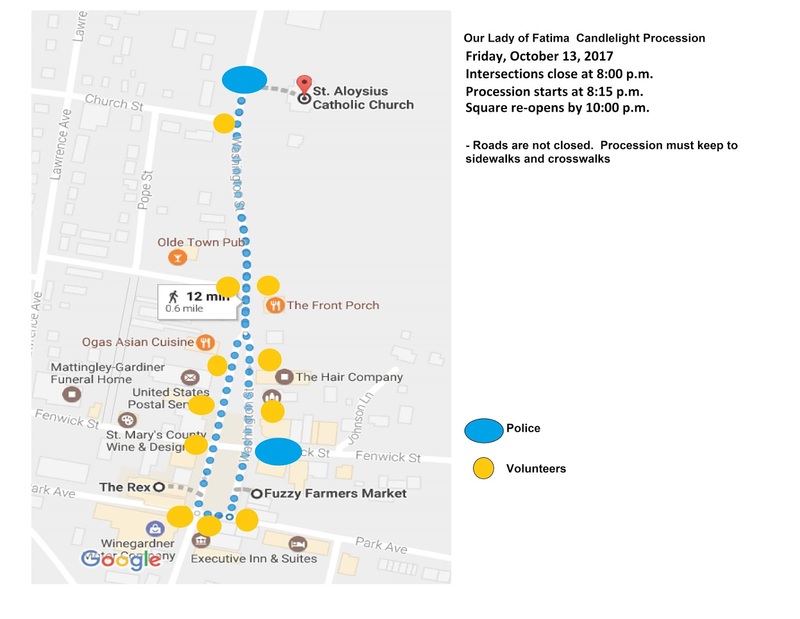 TONIGHT, FRIDAY, October 13, 7 p.m. service, 8 p.m. procession. 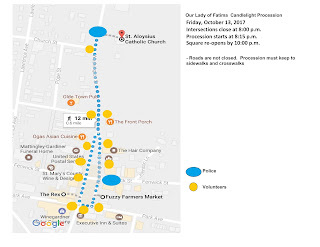 Fatima Centenary Mass & Procession starting at St Aloysius Catholic Church. A large crowd is expected. Please come early for parking and be cautious of pedestrians throughout the Town. Drivers should expect delays from 8 - 10 p.m.
Saturday, October 14, 8:30 a.m., SMR / Blaine Whorl 5K Run/Walk St. Mary's Ryken High School for their homecoming SMR 5K/Blaine Whorl Memorial Run. You can register for the 5K the day of the event for $30, SMR Staff/Faculty/Student discounts are available. 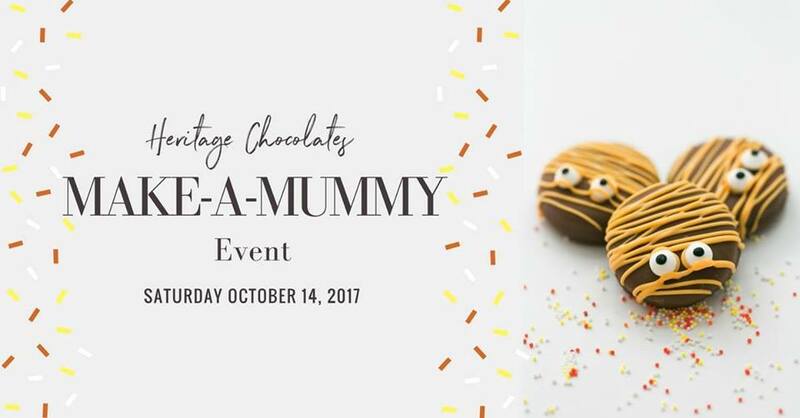 Prizes will be awarded for the top qualifiers and prizes for the kids 500 meter pumpkin dash, There will be music, refreshments, games and fun for the whole family. All of the proceeds will go towards the Blaine Whorl Scholarship. 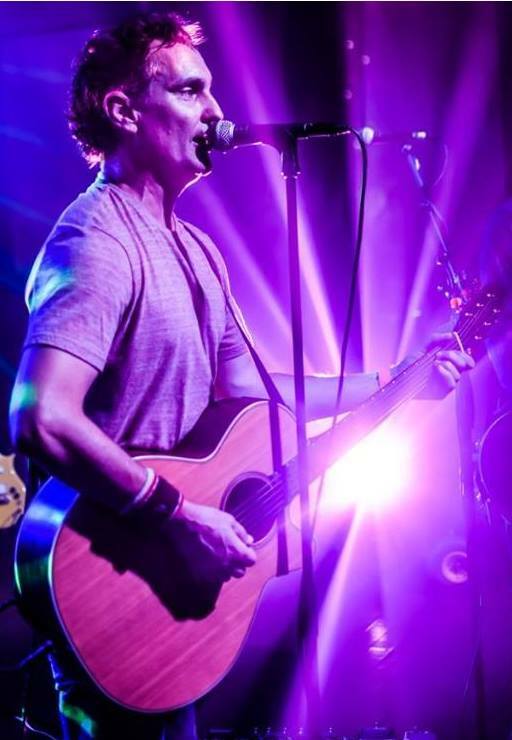 Saturday, October 14, 12:30 p.m. – 2:30 p.m. JP Rocks the 'Wharf - Come see Joe Parsons Music rock the Coastal Arts Market & Leonardtown features Musician Joe Parsons event this Saturday at the Wharf. Come hear your favorite cover songs and get some early holiday shopping done. Market open 9 a.m. - 3 p.m. with live music from 12:30 - 2:30 p.m. But Wait. There's More. Joe Parsons Music at the Port of Leonardtown Winery from 4 - 7 p.m.!